Some 65% of all energy used in industry is consumed by motors. So how much could your business save, if those motors intelligently adapted to the loads put on them? For our global clients, the answer is up to 40%. Still draw full power instantly whenever it is required. No compromise on motor performance, even under heavy loads. 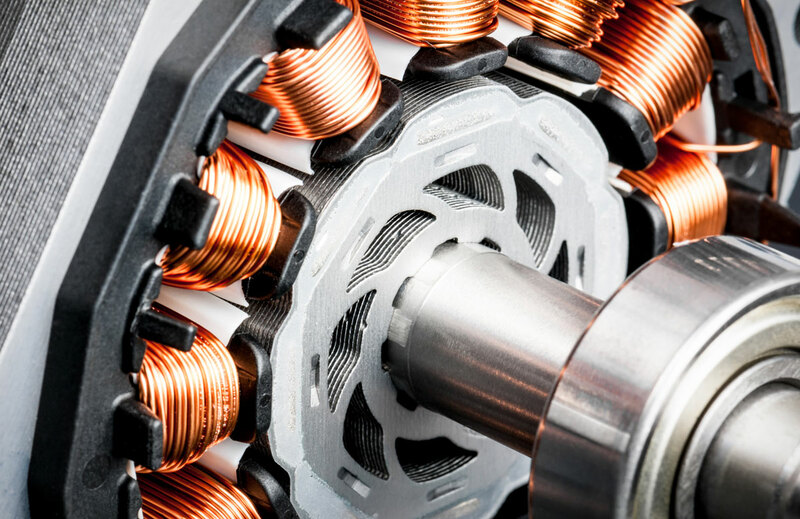 The loads on a fixed-speed motor can vary dramatically – so why doesn’t the energy usage? Integra is actually not one product, but a ‘family’ of products. They are intelligent controllers for fixed-speed motors, suitable for almost any motor size and application – with an extensive range of special application pre-sets and adjustable controls. Integra combines world leading soft start, intelligent load monitoring, energy optimisation and controlled stopping in a smartly designed, easy to install and competitively priced unit. In effect; Integra electronically ‘re-sizes’ the motor to both its application and load cycle every 10 milliseconds. Integra is perfect for fixed speed applications, because motor RPM is maintained at all times even as the load varies from nothing to max capacity. 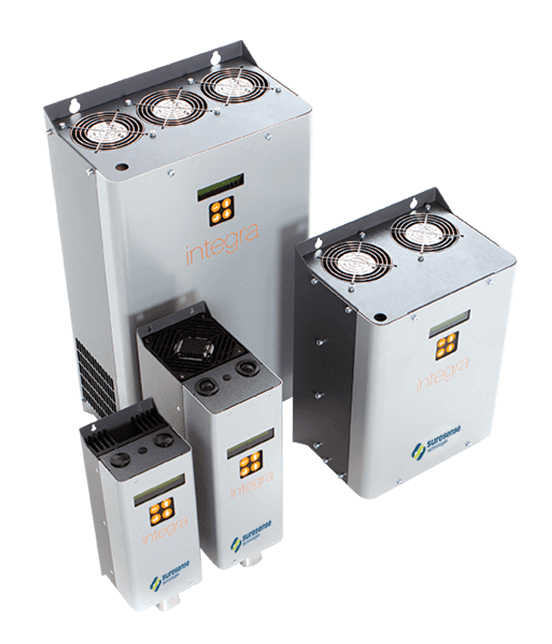 Integra can also be configured to turn off the motor when no load is detected. Integra can extend motor life, reduce maintenance costs and save a fortune in the process. Payback is normally achieved within two years, sometimes just a few months. Hit the button below to download the full digital product brochure or read on for more. Energy can be a significant component cost in the production of most products we purchase. Indeed, some 65% of all energy in industry is consumed by AC induction motors. Approximately 10% of all these motors are operating in applications that require variable speed conditions. However, the vast majority needs to operate at a single or fixed-speed. As such, installing a variable speed drive onto a fixed speed application is often a bad idea. It can increase the running cost by a much as 6-8%. Integra brings to bear a number of best-in-class technologies to address this problem. With advanced soft start technology, intelligent load monitoring and controlled stopping all in-built – a single product is able to enhance almost any heavy machine with valuable intelligence. What’s more, the hardware itself is small, easy to install and very competitively priced – particularly when set against its typical returns. Most clients enjoy a project ROI of less than two years. The principle is a simple one. As the load on your motor changes, the motor adapts its output to suit. Imagine an escalator with one person on it and another with 100. For most standard motors, both escalators are operating at the same energy consumption. Starting direct online can draw 6-9 times the full load current , integra stops this. Ready to find out more about Integra? There are a huge number of ways you can get in touch. We’re happy to answer any questions you may have over the phone, via email or over live chat.